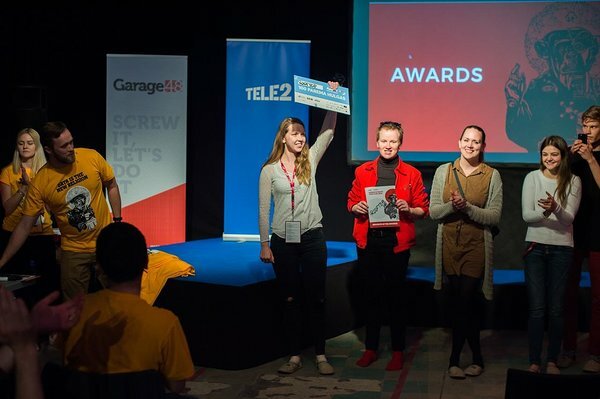 The Garage48 Baltic Open & Big Data 2017 has been a sensational hackathon to celebrate data science and the art of visualisation of data. The event attracted so many data scientists, developers, designers and project managers from all over the Europe with one common goal – harness the already-available data and bring it to life. On Sunday's grand finale 15 teams showcased their prototypes to the audience, members of the jury and to people watching the live stream at home. 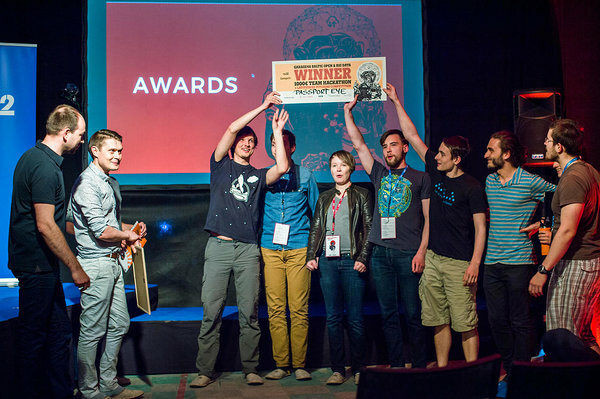 The hackathon to transform trivial data into usable products started at a fast pace on Friday. After a brief welcoming event with kind words by organizers, the presentation of the ideas began. The 23 ideas gathered on Friday ranged from a platform to send a letter straight to the prime minister to fixing an ID-verification to the entire world of finance. Out these pitched ideas 15 projects were chosen that the teams then worked on for the next 48 hours. The event wouldn't have taken place without our main sponsor and co-organiser Tele2. The CEO of TELE2 Eesti, Argo Virkebau was pleased to see so many interesting projects: "The proper use of data has so much potential to improve the work of both public and private sector companies. I was happy to see the applications that were analysing finance, location based solutions and apps to help us get involved with governments work a bit more." 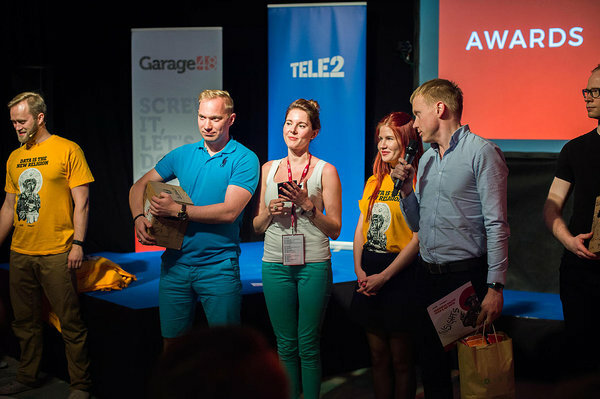 For the first time in Garage48 history, the hackathon took place in Lift99- an urban co-working space nestled right in the heart of a lively Telliskivi Loomelinnak. 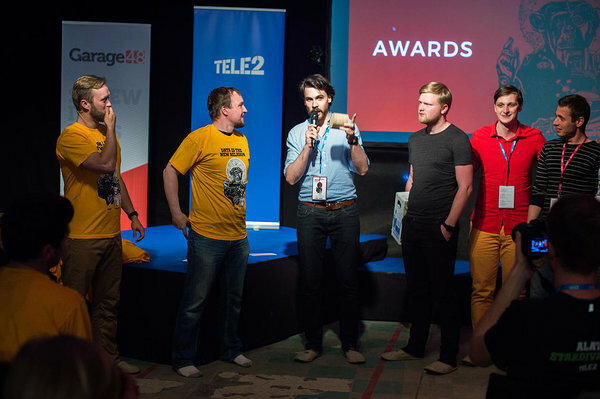 “I think this event has been a big success, ” said the co-founder of Garage48,Priit Salumaa later. " Many cool ideas were produced and I was happy to see so many projects that have a potential after the hackathon as well. A very cool thing from the organizers side is that Garage48 finally has this new sweet home called Lift99, where a big event like this could be easily held without feeling trapped. This was our first full size hackathon at Lift99 and we couldn't be more happier on how it turned out". To make all the things happen at the hackathon, we need to thank many people who worked non-stop. First, we need to thank the mentors who put lots of effort on helping the teams to deliver the projects. 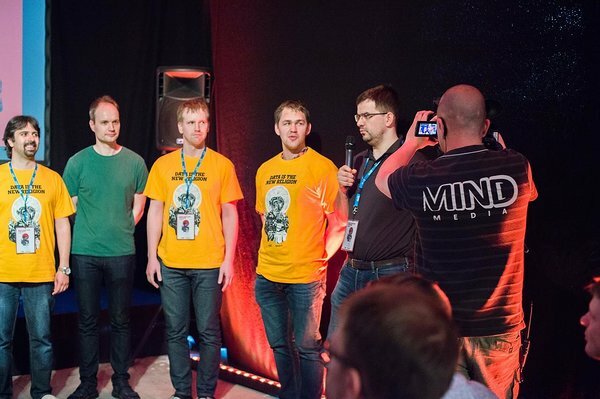 The hackathon’s mentor council consisted of Priit Salumaa (Co-Founder of Mooncascade and Garage48), Jaan Kurvet (Creditinfo) Dmytro Fishman (Junior Researcher at the University of Tartu, Researcher at Quretec OÜ), Mikhail Iljin (Big Data Developer / Data Scientist at Mooncascade), Peeter Piksarv (Mooncascade), Jordan Valdma (Engineering Lead at TransferWise MSc CS), Kaspar Gering (Data Scientist at Transferwise), Adolfo Ruiz Calleja (Data Scientist @TLÜ), Andres Kütt (Architect at Estonian Information System's Authority), Taivo Pungas (TTÜ), (Mikk Lellsaar (Executive Officer at Ministery of Economic Affairs and Communications, Hille Hinsberg (Open Knowledge Eesti), Taavi Tammiste (Head of Data Science at Mooncascade), Martins Untals (Tele2), Üllar Rannik (SEB), Benson Muite (Institute of Computer Science, UT), Martin Verrev (Garage48), Mait Tafenau (Ekspress Meedia), Antti Poikola (Open Knowledge Finland), Calum Cameron (Startup Wise Guys), Markko Karu (Funderbeam), Jaanus Sakkis (Feks Design), Janno Siimar (Velvet). Special thanks also to our jury members : Argo Virkebau, Dmytro Fishman, Priit Salumaa , Ragnar Sass, Andres Kütt, Siim Sikkut, Üllar Rannik, Tanel Mällo, Kaspar Gering, Jaan Kurvet. All the available datasets were up on Github prior the event. Many thanks for that to our partners at Loov Eesti, Creative Entrepreneurship Academy and Open Knowledge Eesti. Special thanks for helping us out with data goes to Maarja-Leena Saar and Hille Hinsberg from Open Knowledge Eesti and Andres Kütt (RIA). 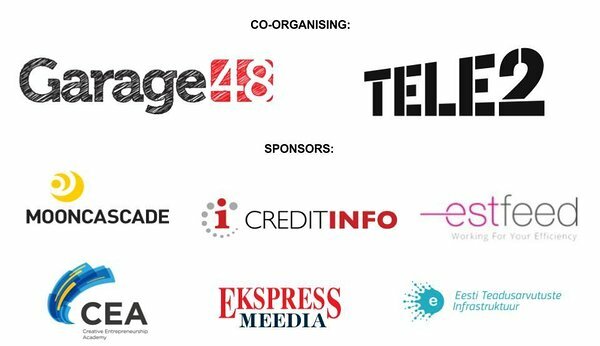 Also a huge thank you for companies like Credit Info, SEB, Ekspress Media, Texta, MyData Conference and of course TELE2 Eesti for coming up with their own challenges and databases. Your hard work before the hackathon by preparing the databases was what helped the teams to come up with some colorful solutions. The biggest thank you, however, goes to our amazing VOLUNTEERS (Heleri, Johanna, Ucha) that helped us throughout the weekend. The organizing team is forever grateful to work with such happy, hard-working and kind people. But now let's go to the part that you all have been waiting for - the WINNERS. Idea: They are fixing ID verification for the entire world of finance (and their customers) as an open source project. No more expensive and inaccurate service providers. Prize: 1000€ for a private team hackathon, automatically in the Prototron TOP40 and 1000€ worth of consulting services from Law Firm Hedman Partners . Idea: PSII- Personal Sensitive Identifiable Information. Discover private sensitive information for public document registries. Idea: Customer intelligence tool to help cafe and restaurant owners to know their most valuable customers today and in future. Based on card transaction data across different venues, Insights offers info on persons visiting your and the competitors' venues. 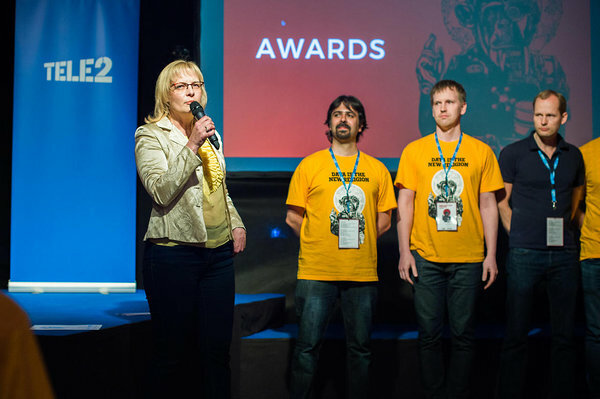 Prizes: by Õllenaut, Loodusvägi and Exit Room. Idea: Each founder has a story. They make sense out of that story by visualizing financials and articles. Data-driven insights in one clear timeline. 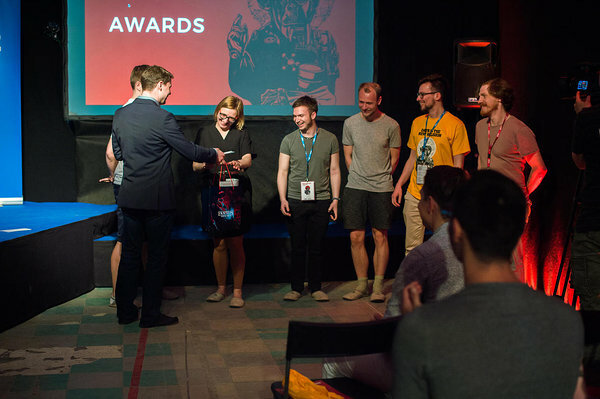 Prize: Both of the winners get a to the semifinals of Business Cup (fall 2017) + project PSII will have the chance to pitch at Latitude59 on Thursday, 25th May. Idea: let's clarify the energy consumption price of your home. Are the utility bills eating up a substantial amount of your earnings? Rooftop helps you to identify the spendings and find workarounds to reduce costs. Rooftop helps you to identify the spendings and find workarounds to reduce costs. Smart Mobility A prototype is a tool for the planners to make a better network of roads. The team is looking forward to revolutionizing Estonian roads infrastructure. E_? Anthropologist enthusiasts, who are investigating how much Estonian media has used "e" as a prefix throughout the years. Credibility Score A text credibility evaluator. It can be used as a browser or social media network extension that overlays a core next to web content indicating how reasonable and credible it sounds. News Cycle wants to understand the news lifecycle a little better ( how it begins, when is the peak time and when it dies down). Nirdizati helping companies optimizing their business processes via predictive monitoring. Tuleva Pension Investments App - make smarter choices. Trump tweets and Tweetalyze analyzing you know who's tweets and rating their intelligence. Spot analyzing the best place for businesses, using datasets from Creditinfo, Tele2 and SEB. CityCOM is a modern solution for community involvement in city planning process. AND THE BIGGEST THANK YOU EVER GOES TO OUR SPONSORS, SUPPORTERS AND PARTNERS, WITHOUT WHOM WE WOULDN'T EXIST!